The fireplace, mantle and wall decor tie together the personal style of your home. 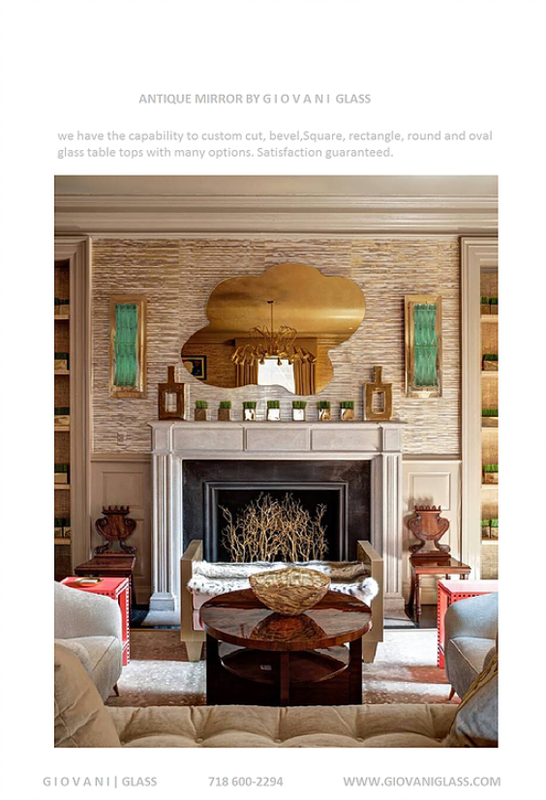 We can help you enhance your mantle wall with a custom, overhead fireplace mirror, scaled and styled for a perfect fit. Our quality, reflective mirror glass becomes decorative art for any wall.